The elementary school years are a time when students are encouraged to problem-solve, seek creative ways to find solutions, make new friends, and begin to build their identity as young citizens. The ES administration recently had the opportunity to highlight these traits in a student. Esther Song, 3C, approached the ES administrators with a proposal that would benefit the entire elementary school. Her idea was to create a Buddy Bench at YISS, an idea that has been gaining popularity in schools across the world. 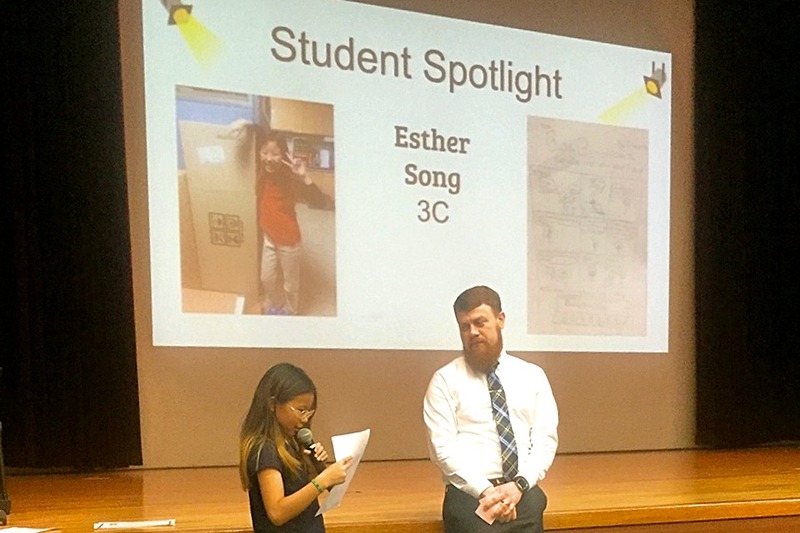 Esther presented her idea to students in a 3rd-5th grade Chapel and Oasis Assembly and will be working with the 4th and 5th grade Guardian Ambassadors to design and create a plan for the Buddy Bench, which will be unveiled to students before Spring Break. YISS is proud to celebrate the creativity and compassion of Esther Song and looks forward to the benefits that the Buddy Bench will bring to all students.